Hello sweet friends-today’s an exciting day! 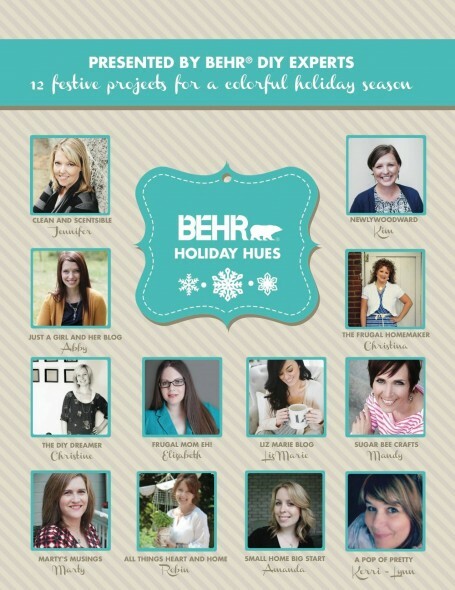 I’m joining Behr Paint and my fellow Behr DIY Experts to bring you Behr Holiday Hues! 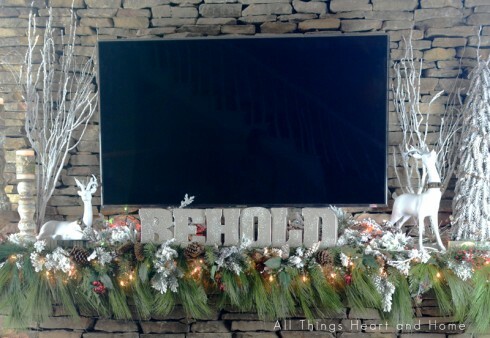 We’ve got a compilation of Holiday projects using Behr paint! 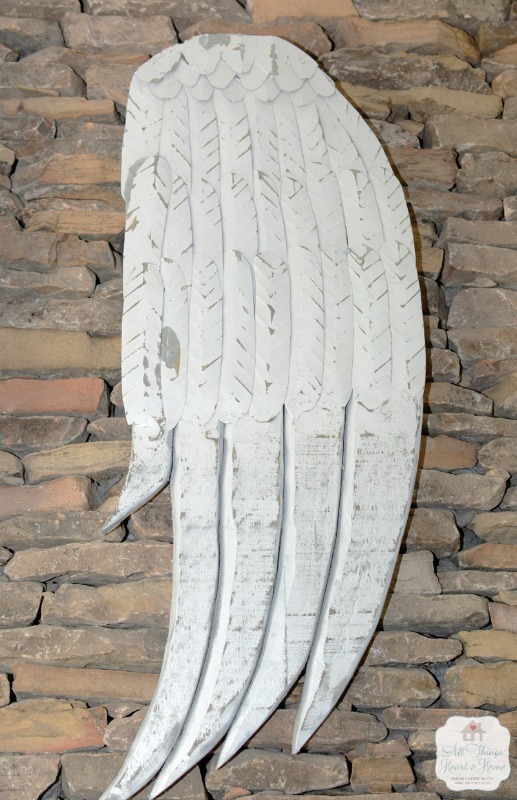 We distressed the wings to finish them…I’ve told you that my new favorite white paint is Behr MARQUEE Cameo White...don’t you think it’s perfect? And now let’s get you entered in our GIVEAWAY! Behr is going to send TWO people THREE gallons of the new (and amazing) 1 Coat Coverage MARQUEE Paint! Robin, the wings are beautiful and fit in perfect with the word Behold. 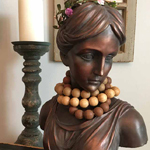 I love this theme and can’t wait to see the next decor idea. I would choose Crushed Oregano and Tan Bark Trail. 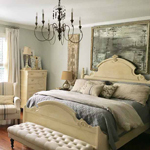 I would go with a white – I need to paint my daughter’s room and allow for lots of pops of color elsewhere! For the Christmas season I would make great use of the Cameo White color! I love greens, too! The Dayflower looks like a beautiful blue/grey. 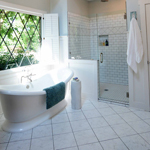 I would choose a couple of different soft blues for my bedroom and bathroom. ROBIN! These are INCREDIBLE. Oh my goodness, I’m amazed. 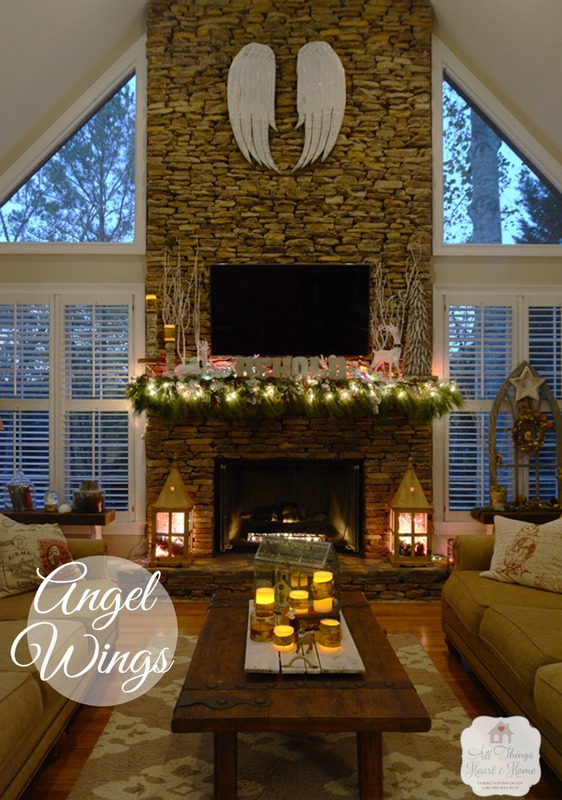 What a beautiful pair of wings and the perfect addition to your theme and beautiful great room. Wow – Im so impressed. I can’t believe he MADE those! Crushed oregano bringing some spice in my living and decor! A bright white for the kitchen cabinets and something for the walls that is the shade of creamed coffee. I’m hoping to paint my living room after the holidays – a creamy bright white. I’d pick smokey trout, schooner and dutch white! Galvanized steel? Amazing! I would never have guessed. Behold, you BOTH did a great job! BEHOLD. I’m so moved by these angel wings! Amaaaaaaazing. Absolutely stunning. And when you add the world BEHOLD, wow. I love the Intercoastal Gray. I’m getting ready to paint our den and I think I will be using this color. I would like “pesto” which is a medium green for my family room. My son and husband have promised to paint the room before Christmas, and I have already picked that color. Wings are just beautiful, behold and believe are my favorite thoughts. The white is all over my senior apt and my new bedroom is shabby chic, pinks and that white. You are guys are amazing. Blessing for the holidays. I am so jealous, because I love the wings! I can’t believe your husband made them! They are so awesome! Love the angel wings! 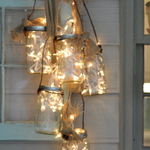 They are perfect with your holiday decor! 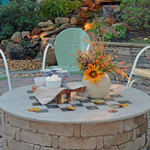 Wow, what a stunning fireplace! The wings are a perfect scale on that dramatic stretch of wall. Wow! 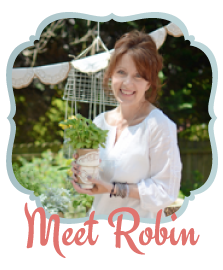 This is just gorgeous Robin! 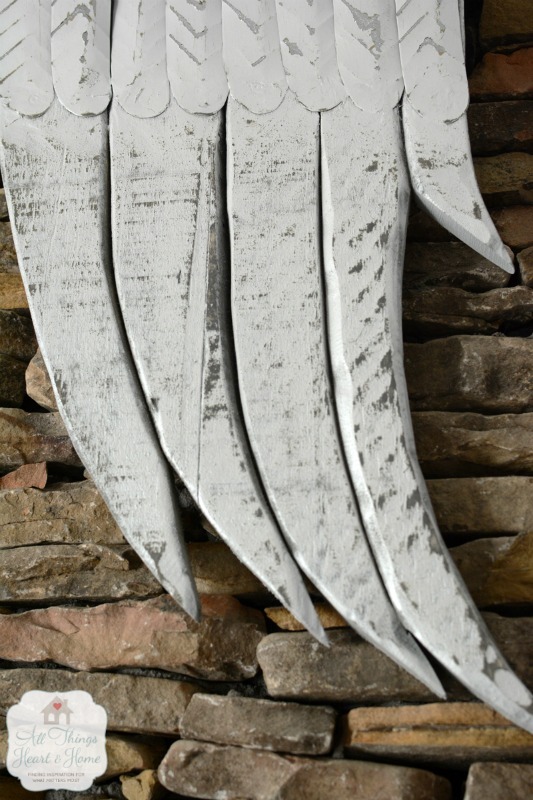 The angel wings are amazing and the perfect touch for your room! These wings are gorgeous – I would pick any shade of blue!! I love the angel wings! 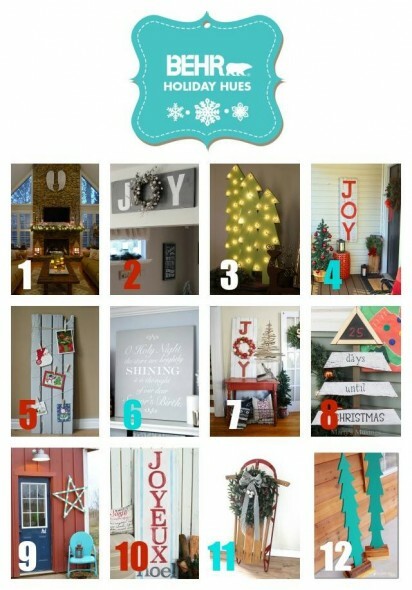 Would have to keep them up all year long, over my bed would be the perfect place!! I love the color Hypnotic along with Montage and Etched Glass! Those Angel wings are stunning! Very inspirational!